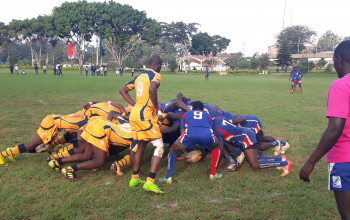 The inaugural edition of the Kenya University Sports Association (KUSA) Varsity League was launched on Monday 17 September at the University of Nairobi, home to Kenya Cup side Mean Machine. This competition marks the beginning of an exciting period for University Sports and Rugby 15s in particular. Taking place over a five-week period from 29th September to 27th October, it will feature sides from eight Kenyan Universities and is expected to provide ground for development and opportunities to showcase the abundant talent within Varsities. The eight teams to take part in the tournament are Kenyatta University, Nairobi University, Catholic University of East Africa, Egerton University, University of Eldoret, JKUAT, Technical University of Kenya and Technical University of Mombasa. Tournament organizer Aggrey Chabeda said the 'main focus of the tournament is to develop the talent." Samurai Sportswear will provide kits to all eight teams according to Chabeda. Eligible players must be registered by respective universities and be below the age of 25. 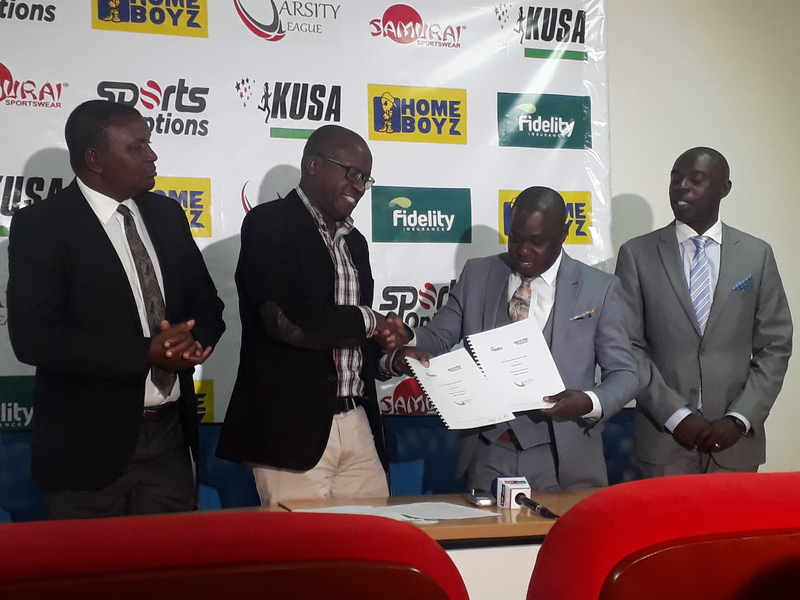 Fidelity insurance and Homeboyz entertainment were unveiled as Sponsors for the tournament. KU are in pool A with Egerton, JKUAT and TUM as University of Nairobi, Catholic Uni, UoE and TUK make pool B. First round of matches on Saturday Sep 29 will see Catholic Uni play TUK, Egerton take on TUM, UoN play UoE and KU take on JKUAT. Matchday 5: 27th October 2018 at UoN Grounds.